VoIP is commonplace for business or personal use today, but who invented this communications technology and when? Voice over Internet Protocol, or VoIP, is also referred to as Voice over Broadband (VoBB), IP Telephony, Internet Telephony, or simply broadband phone. 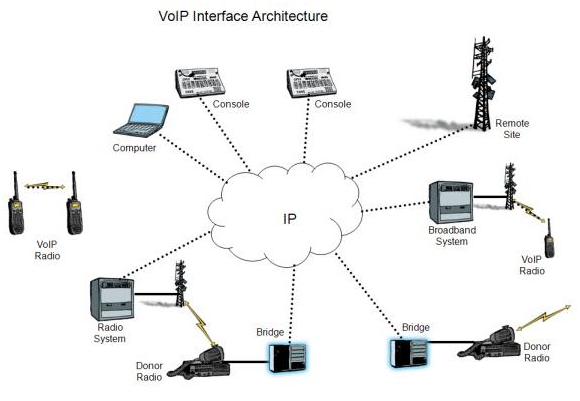 VoIP works by transferring voice signals between IP addresses, compressing the sender’s voice signal, and decompressing the signal for the receiver. VoIP was first developed by a company called VocalTec in 1995 as a cost-effective solution to make long-distance or international calls. VocalTec created what was essentially an internet phone, allowing one internet user to speak to another provided both users had the same software. The software connected to speakers and a microphone, but there was no video function. A year later, internet voicemail was developed, enabling users to send voicemails over the internet. At the same time, VocalTec teamed up with Microsoft NetMeeting to create new internet phone software. By 1998, VocalTec’s VoIP systems included computer-to-phone and phone-to-phone calling capabilities, but just 1 per cent of calls were made this way. Despite services being free, users were put off by the adverts that were a part of the calling technology. As technology advanced and more companies started creating their own communications software, VoIP calls accounted for a quarter of all voice calls by 2003. With internet speeds improving and the advent of broadband, the quality of VoIP soared, with fewer connectivity issues. Hardware manufacturers also created equipment that enabled more efficient switching of the voice data packets. Skype has had a big role to play in shaping VoIP history. It launched its beta software in 2003, allowing users to make free computer voice calls and instant messaging. Skype revolutionised the VoIP arena when it introduced video chat in 2005, which it’s still most widely recognised for today. VoIP technology is still a dominant feature of many people’s lives today, and with many options available, such as wholesale az VOIP termination from https://www.idtexpress.com, there are many functions to suit different uses. Whether it’s for personal use to keep in touch with far-flung relatives or for making conference calls to overseas clients, VoIP technology enables cost-effective communications and will continue to do so.